February 22 & 23, March 1 & 2. 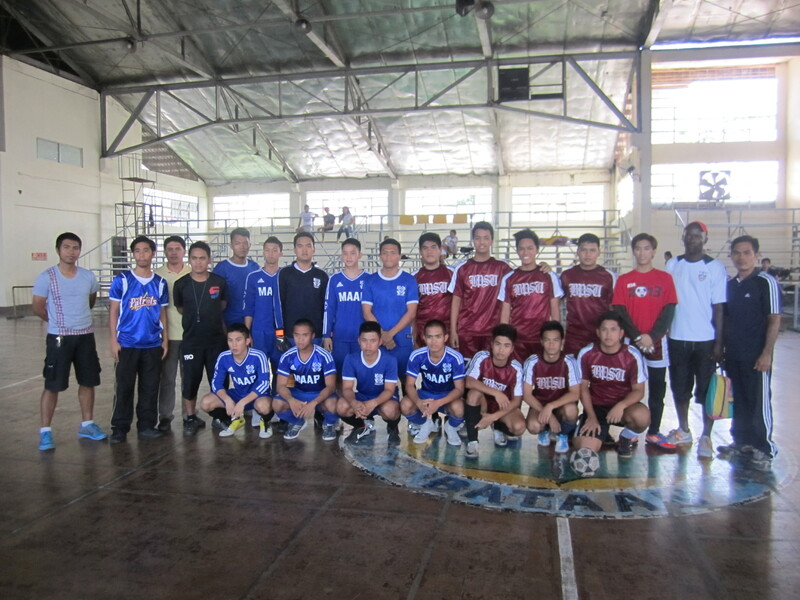 We congratulate FUTSAL de BATAAN for their efforts to Promote Futsal in Bataan. 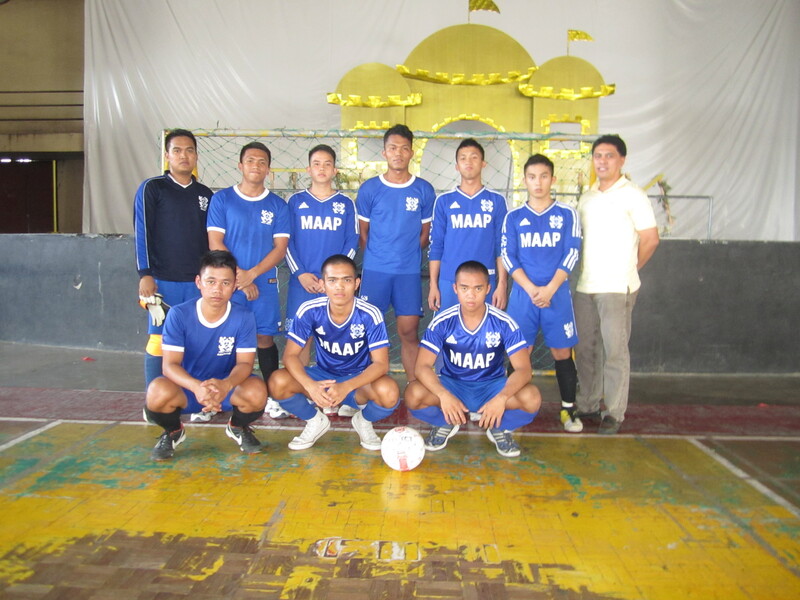 Thank you very much to Mayor Gila Garcia, Vice Mayor Rey Matawaran, Councilor Inza Cruz & SB Members for helping in the development of Futsal. 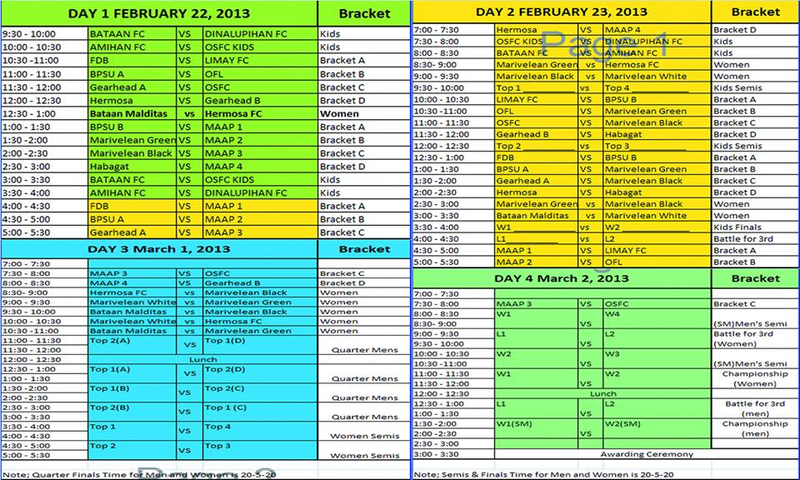 The PFCWC officers will visit the PFCWC Bataan Leg on March 1 & 2 inorder to oversee the Tournament and make suggestions for improvements. 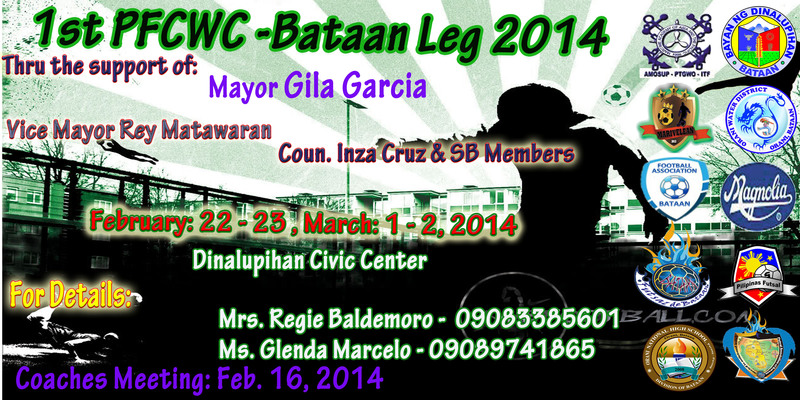 We will also organize meetings there inorder to formulate a more comprehensive BATAAN FUTSAL PROGRAM. 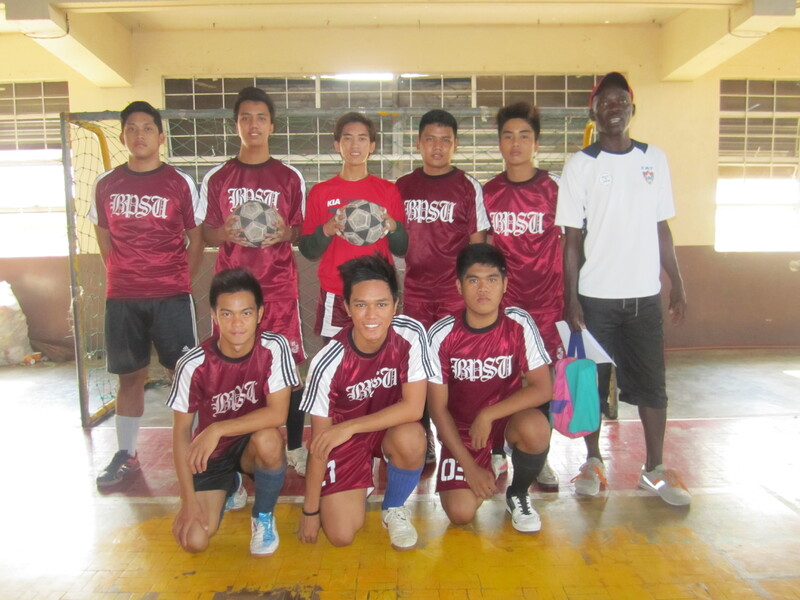 This entry was posted in Local Futsal News, PFCWC (Div.3) - Pilipinas Futsal Cup Winners Cup by Pilipinas Futsal. Bookmark the permalink.